The FBI foiled a terrorist-style plot by three Muslims to use automatic weapons to kill dozens of people at a Masonic center in Milwaukee, the Milwaukee Wisconsin Journal Sentinel reports. Authorities arrested Samy Mohamed Mamzeh, who is accused off planning the attack and “eliminating everyone” in the building. The 23-year-old was charged with possessing a machine gun and silencer, but no terrorism counts were included, at least not yet. 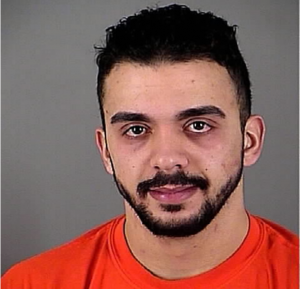 “We are Muslims, defending Muslim religion, we are on our own, my dear, we have organized our own group,” Hamzeh said, according to the criminal complaint. It was a “detailed plan to commit a mass shooting intended to kill dozens of people,” said acting U.S. Attorney George J. Hannstad. Posted: 1/27/16 at 8:40 AM under News Story.